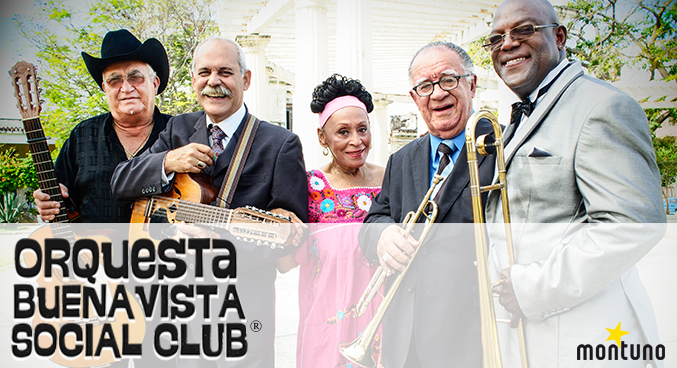 We feel we must make this announcement on the eve of the farewell tours between June 2014 and October 2015 of "Orquesta Buena Vista Social Club®". We have (again) encountered the problem that other groups with similar and misleading names are promoting shows which can cause great confusion among public and promoters, and which do not feature any of the original members of "Orquesta Buena Vista Social Club®"
The Orquesta Buena Vista Social Club® grew out of the 1997 release of the Grammy-winning best-selling album Buena Vista Social Club and subsequent film of the same name, and its line-up continues to include a number of the original artists featured on the landmark recording and film. The line-up furthermore is the only one to feature the surviving stars : Omara Portuondo, Eliades Ochoa, Guajiro Mirabal, Barbarito Torres and more. We take this opportunity to thank you for your help and support in clarifying this important matter.